There’s an MSBL powerhouse tournament team lurking in the desert in Las Vegas just waiting to assemble and make you wish you hadn’t seen them in your division. 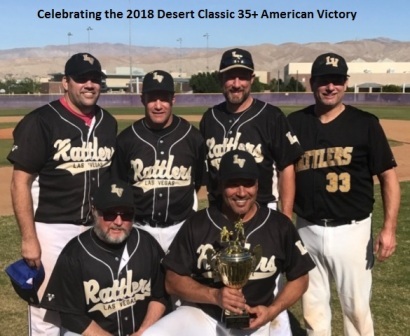 The Las Vegas Rattlers, assembled and managed by veteran player/manager Manny Ocampo, will once again be competing in the upcoming MSBL Desert Classic in Palm Springs, January 19-21, a tournament they won last year while representing the 35+ American division. Pitcher Dave Scanlon pitched seven and a half innings in the championship game to secure the win while Alfonso Gandara closed it out. 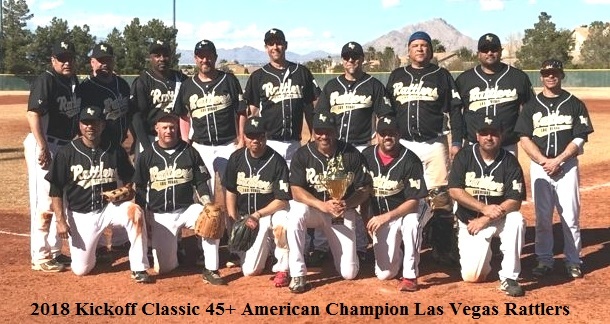 The Rattlers are also champions of past MSBL Las Vegas Kickoff Classics and Las Vegas Opens, tourneys tha t take place every March and Memorial Day weekends in May. 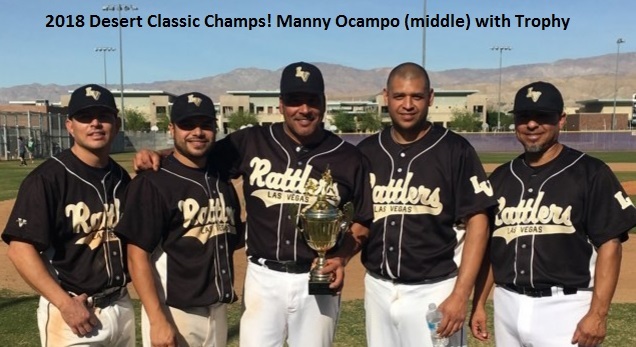 They are also in the thick of things ever year at the MSBL World Series in Arizona and are continually seen in their division’s championship games and usually once again fighting for the trophy. If you would like to become involved in this year’s Desert Classic in January there is still room. You can call the MSBL offices at 631-753-6725 or email info@msblnational.com.